The wait is over! Isabella makes yet another simple but powerful statement with "Jesus Be Lifted Higher" video: a clean and fresh contemporary video which drives home the message of the Lordship of Jesus Christ and the depth of His love. Jesus says "If I be lifted up from the earth, I will draw all men to me". Isabella continues to make great strides with her undeniably remarkable gift of songwriting and signatory spirit of excellence in her work. She has become one of the most consistent and recognizable faces in African Gospel music scene with a string of anointed worship songs that draws down heaven's atmosphere and manifests the tangible presence of God. 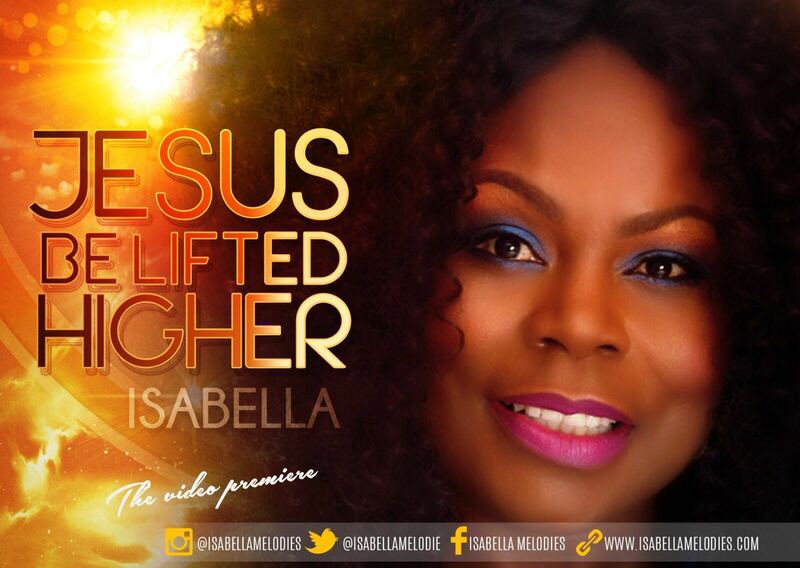 Watch & enjoy and be blessed by "Jesus Be Lifted Higher" which is deep and yet simple enough for your personal as well as corporate worship. The song was produced by Evans Ogboi and the video was directed by Uvi Orogun.